HBO released a short commercial during the Golden Globes 2019 about its upcoming programs including a brief look at the final season of Game of Thrones. It’s only a few seconds long but it’s enough to get fans excited about the season that is meant to air in April of this year. 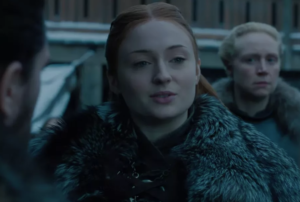 The clip shows the arrival of Daenerys Targaryen and Jon Snow at Winterfell where they are greeted by Sansa Stark. “Winterfell is yours, your grace,” Sansa tells Daenerys gracefully, a sign of the alliance between the latter and the North. In a report by Vox, it is noted that the meeting lacks a certain urgency which hints that the characters may not yet be aware of the ice dragon resurrected by the Night’s King which is on its way to defeat them all. An alliance is just the thing they need if they want to survive the harsh winter that has come, though they will still have to contend with Cersei Lannister and her refusal to join forces with them. Other characters visible in the clip are Brienne of Tarth and Jorah Mormont. The ice dragon makes an appearance as well though you might miss it if you blink. With only six episodes left to go in the last season, there will be a lot of cover on Game of Thrones before the epic saga concludes. Don’t miss Game of Thrones season eight this April on HBO.